Perpetuity Research & Consultancy Int Ltd. Secured Environments is a police certification scheme managed by Perpetuity on behalf of the Association of Chief Police Officers. It provides an easy-to-follow framework for undertaking your own risk assessment and developing an informed security response. Achieving the accreditation evidences a strong commitment to crime prevention and protecting people, property and data. The award is focused on the organisation (and any type of organisation or business can register) meeting six key principles. -Commitment to create a secure environment -Understand the problem -Develop a response -Manage the response -Implement the response/solution -Evaluate the response It is suitable for a wide range of organisations, with schools, universities, private businesses and a hospital achieving the accreditation to date. 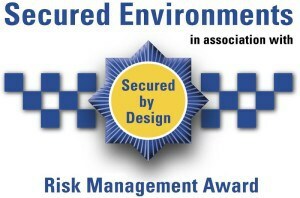 For more information take a look at the Secured Environments website. FOR MORE INFORMATION CONTACT PERPETUITY RESEARCH & CONSULTANCY INT LTD.